Hot cocoa, boots, jeans and pink cheeks | Hello World! This is my first Autumn in Australia and also my very first Autumn in March when my family in France is embracing spring time 😉 The weather has changed in Adelaide and it is getting chilly. I am glad I have a fireplace in my living room: it is so cosy! I love to hear the crackling sound and the smell of the wood burning. 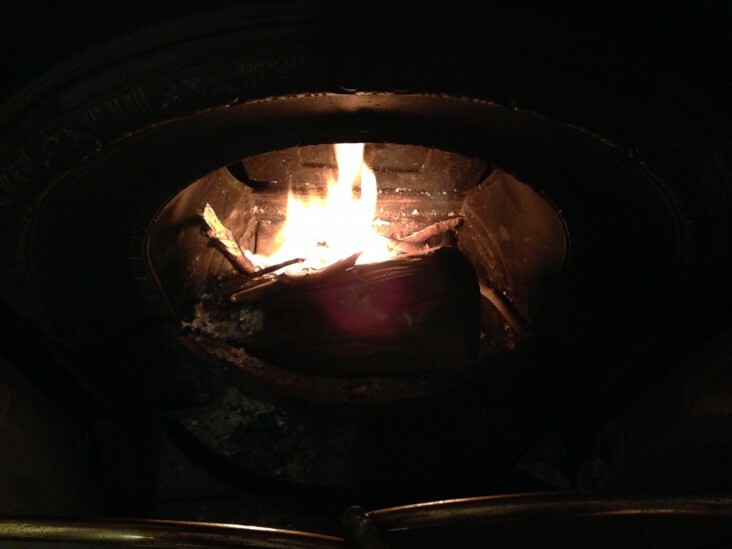 I enjoy gazing at the joyful flames dancing on the logs, warming slowly the atmosphere. What a lovely setting to curl up comfortably on the sofa under a wool blanket with your favorite book! It is also the perfect time of the year to enjoy nice walks in the crispy air. Put your boots and your jeans on and have a peek at all these wonderful colours where the trees enter an enchanting parade. Don’t you think the gold, brown and red leaves are just beautiful? Adelaide Hills is the place to contemplate this magical scenery… if you have the chance like me to go to Stirling, your breath will be literally taken away. 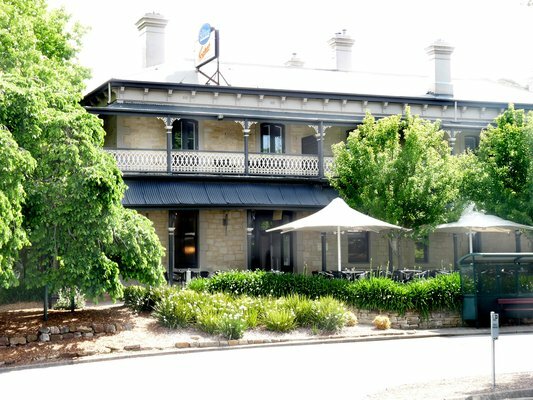 This charming village only 20 minutes away from Adelaide CBD is a real gem! Stirling village and its adorable restaurant in summer time! It is full of cute houses, shops and gigantic trees celebrating gloriously autumn season at the moment. My Australian friend Ann took me there and it was absolutely delightful. The fresh air was so energizing, so pure… I liked the feeling on my cheeks! We enjoyed a hot beverage in a fancy place called Red Cacao chocolatier and I indulged myself with a cup of chili cocoa, one word: delicious! This is the perfect place for chocolate connoisseurs: they offer a wide range of exquisite high quality chockies (Aussie slang for chocolate, sorry guys I could not help it). Well this is the place to go to spoil yourself! I also do believe that it is very appropriate in this season to enjoy hot and comforting drinks! 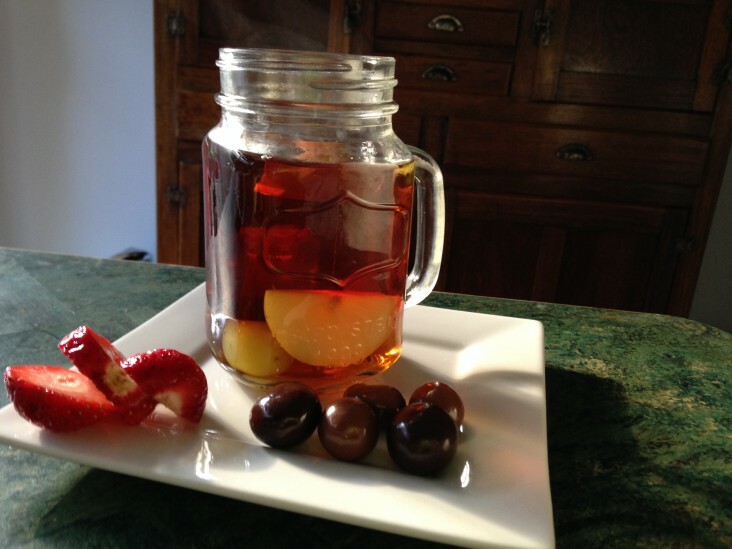 You can be creative at home like my friend Nasim (from Iran) and add fruits and Haigh’s chocolates on the side: all Adelaide flavours in a cup of tea! Nasim’s tea: a poetic celebration of Autumn’s colours! My dear virgine ! Today I hate autumn ! When I got up I found a mountain of leaves in front of my door ! I ‘ve picked them up for one hour !!!! Gosh , however I agree with you with your post … A pleasure to read you my friend as always thank you ! I agree and respect your post….your images brings wonderful journey! Thanks 🙂 I am glad you enjoyed it!